When an acoustic guitar player has more chord tone options their selection of chord types and chord transitions can occur in more connected ways. In this lesson of acoustic guitar, we'll begin by covering a common group of 3-note triads. 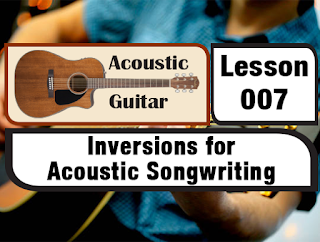 The inversions will be applied in an acoustic songwriting example progression. Further work will explore comping and fingerpicking technique, and the final piece will demonstrate how inversions can function within a more intricate acoustic guitar fingerstyle melody. In example one, a series of major and minor inversion patterns are applied across a drill that covers the neck from the 3rd position to the 12th. How to practice the patterns will be shown in the video. The exercise drill incorporates both "C" major and "C" minor inversion patterns, (but it is important that they be practiced off of several other roots in order to master their use across the neck). These inversions are some of the most popular shapes on guitar and should be well memorized. 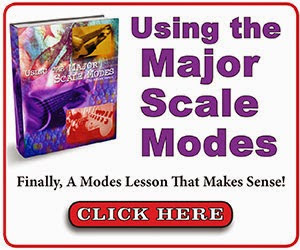 They are used in countless chord progressions across many different styles of music. Example two applies the triad inversions (from example one) into an acoustic guitar songwriting exercise. The piece used in example two has a core purpose of showing the value of how inversions compliment standard chord movements. The key of "C Major" progression highlights the use of smooth and connected bass lines. 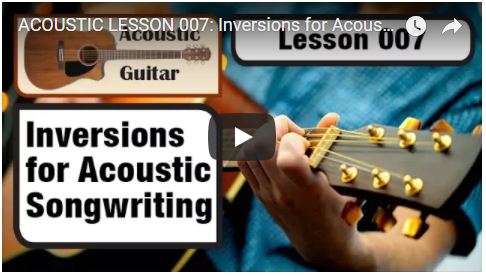 Pay particular attention to the lowest notes of each chord and how they transition from one measure into the next..
PART TWO: The second part of the lesson explores more detailed application of the inversion patterns. In example three, the techniques of both comping and fingerpicking are combined across a series of chord changes from the key of "D Major." Chord inversions are abundant across this progression. 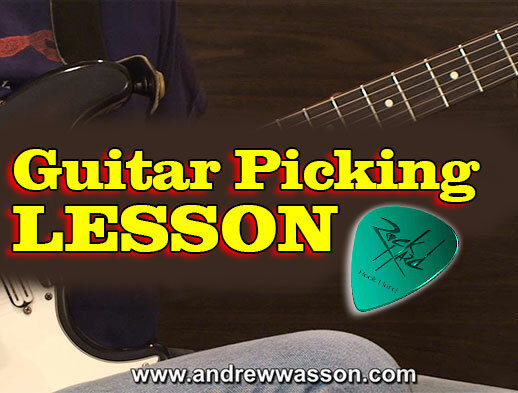 Take notice of how the lowest tones of the chord patterns establish a smooth connection from one chord to the next on both 5th and 4th guitar strings. Example four demonstrates how to use triad inversions within a more complex acoustic fingerstyle melody. The key of "G Major" acoustic melody in this example demonstrates the value of inversions applied across a fingerpicked set of changes. The composed fingerstyle arrangement in example four uses inversions to support smooth and connected transitions from chord to chord. Nearly all of the voice leading occurs from scale tones above the lowest voiced tone of the upcoming chord. Do Guitar HUMIDIFIERS Actually WORK? Do All Roads Lead to Jazz? Copyright © 2018 Creative Guitar Studio. All rights reserved.